Mr. Kepple graduated from Fordham University where he played offensive line. Coach Kepple began his coaching career back in 1980 at Ardsley High School in Ardsley, New York, as the offensive and defensive line coach. At Ardsley he coached seven players that went on to play college football. It was here that he first learned of the college recruiting process by picking the brains of college coaches that came in to recruit the players. From Ardsley he moved on to Port Washington High School in Long Island, NY, as the Offensive Coordinator. In the one year at Port he produced five offensive college recruits. Coach Kepple was offered a position at Westchester Community College as the Offensive Line Coach. It was at Westchester that he applied his recruiting knowledge. He recruited and produced six linemen that went on to play at Division I colleges. Coach Kepple was hired away from the Junior College ranks by NCAA Division IAA Iona College. He started as the Offensive Line Coach and was promoted to Offensive Coordinator. After Iona, Kepple was hired by his Alma Mater, Fordham University and then St. John’s University where he was the Offensive Coordinator. From St. John’s Mr. Kepple went on to the prestigious United States Merchant Marine Academy. At Merchant Marine he recruited players that went on to serve in the United States military as helicopter pilots, Navy pilots, Navy Seals as well as giants of the Maritime industry. While at USMMA, St. John’s, Fordham and Iona, Coach Kepple was responsible for recruiting 12 states. Kepple’s final college coaching stop was Salve Regina University in Newport, Rhode Island where he was responsible for recruiting five more states. 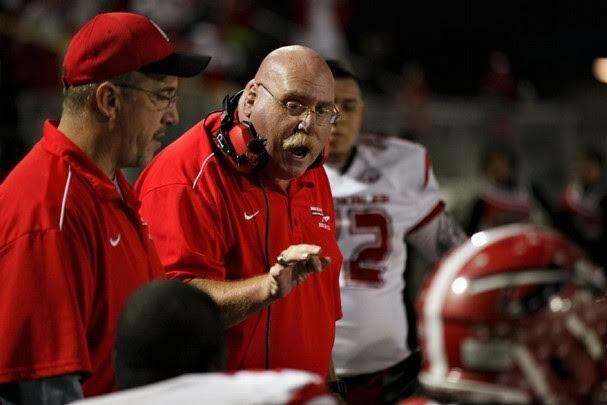 Coach Kepple left the college ranks to become the Offensive Coordinator at Immokalee High School in Immokalee, Florida, a Title One school with some great athletes. In 2011 his offense was second in the state of Florida and averaged over 40 points and almost 500 yards per game. In 2012 his Immokalee team went to the state title game losing by one point on a botched extra point. During his time at Immokalee he had 33 players go on to college and so far one player advanced to the NFL with the Minnesota Vikings. With his background and experience Coach Kepple has been accepted on the prestigious Woods Recruiting team as Director of Recruiting for Southwest Florida.